Warbringers come to a close with the final animated short about Azshara revealed at Gamescom. If you missed the previous animated shorts, check out Jaina and Sylvanas! Blizzard announced that Azshara will be a villain in Battle for Azeroth and later confirmed that she’s the Gul’dan of Battle for Azeroth, so we’ll see her as a final boss of an upcoming raid (Nazjatar?). Lord Stormsong: The Kul Tiran fleet is nearly yours, my queen. Queen Azshara: It would seem you have guests, Lord Stormsong. Lord Stormsong: Intruders?! I shall cast your bodies to the blackened depths, to be crushed for eternity! Rexxar: make peace with your queen, for your life ends here. Your head will soon be mounted on my wall! 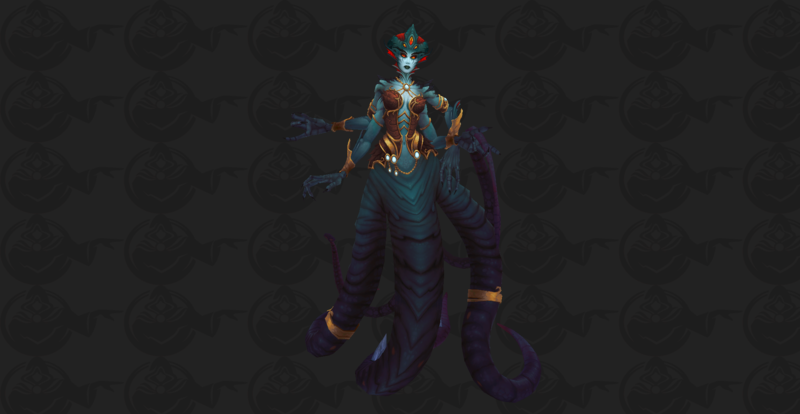 The final animated short shows Azshara’s transformation into a Naga and her encounter with N’zoth.